When you hear the words farm tables, it may evoke a certain image in your mind. One of burlap, lace and cowboy boots. All those things come together to create a beautiful occasion, there’s no doubt about that. 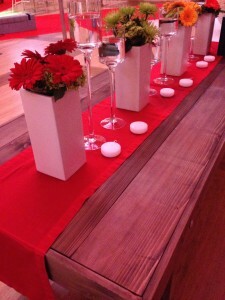 But this type of event isn’t the only place you’ll find our farm tables. 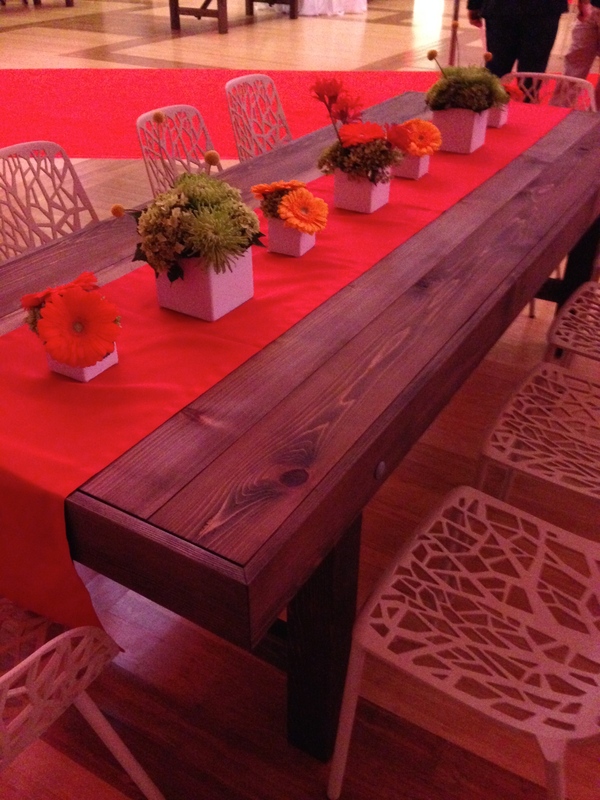 Farm tables can be really versatile and fit a wide range of needs. 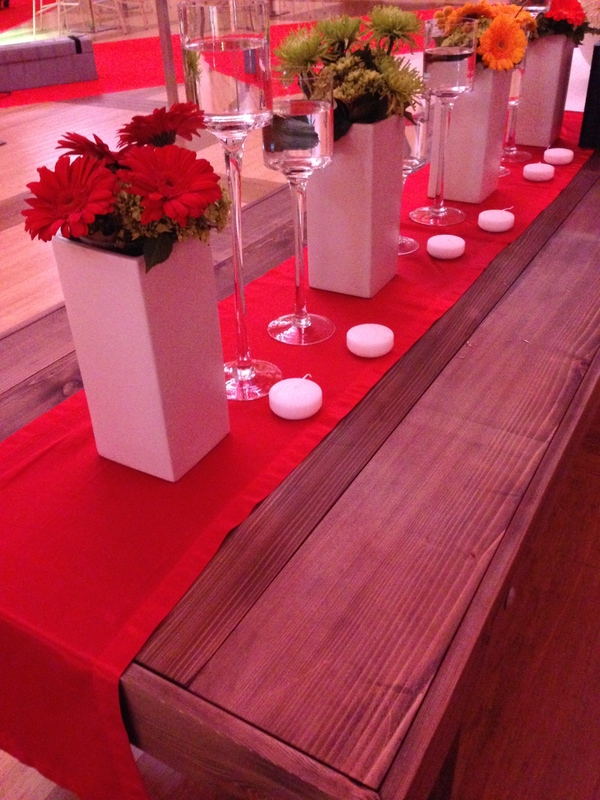 We recently had the opportunity to participate in an event at NC State University. It was the Celebration of Philanthropy, where many of the friends of NC State were honored for their generosity. It was a lovely evening and we were honored to be a part of it. NC State University has deep, rich roots in agriculture, but is at the same time a university on the cutting edge of science and technology. Ellen, the event coordinator for the Chancellor’s Office had a vision of marrying the two. The Hobnob Farm Tables were dressed beautifully and simply with red table runners and sleek, contemporary flower arrangements. The result was stunning. These aren’t just your grandma’s country farm tables.